Each 28th december, in Ibi – province of Alicante, in Spain -, the “The floured’s war” takes place. It’s a festival in which the citizens are divided into two groups: the first is called the Enfarinat (the floured), that simulate a coup d’etat; the other one tries to calm down the rebellion. 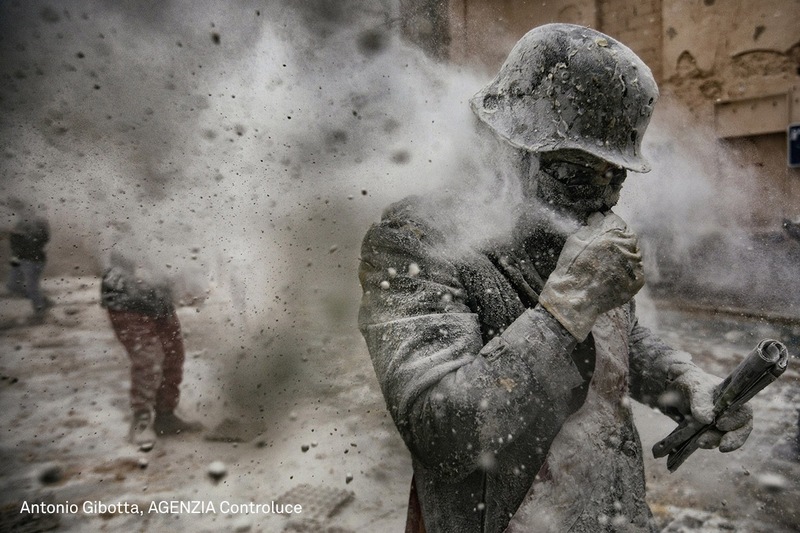 The teams plays with flour, water, eggs and coloured smoke bombs: the photos taken during the match are beautiful. It has been celebrated since 200 years and it’s linked to the day of the massacre of innocents, when Herod, king of Judea, ordered to kill each baby in order to find Jesus.